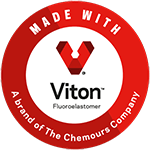 Pelseal® Technologies, LLC manufactures the world's broadest line of high performance liquid fluoroelastomer coatings, adhesives, sealants and caulks, many of which are formulated from Viton™, a fluorine-containing synthetic rubber. These state-of-the-art products exhibit extraordinary performance characteristics in harsh environments, are able to withstand temperature extremes of -40 to +400 degrees Fahrenheit (-40 to +205 degrees Celsius) and resists attack from hundreds of corrosive chemicals and liquids. Because of these unique properties, Pelseal's fluoroelastomer products have been employed in numerous industrial applications where the challenge of severe service conditions exists. 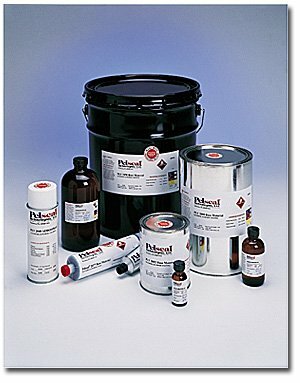 Download a complete list of chemical resistance of a fluroelastomer, call us at 215-245-0581 to discuss your application or simply fill out this form and someone from Pelseal will respond promptly. All of Pelseal's products are sourced, engineered and manufactured in the U.S.A.